The journey of the educator is much like a quest. We strive to successfully gather the necessary skills and knowledge loading our brains and backpacks (teacher toolkit) with what we think will best benefit our students. But like any journey our supplies and frame of thinking need to be constantly refreshed, a state of constant change (innovativeness). Our supplies might be a new instructional strategy or program, but often the newest thing is perceived as a form of technology. What is it about technology that compels us to believe it is a necessary component for a well-rounded education? We inventory how much of it we have, how many times it is used, and ask ourselves if we need more of it? Maybe we should stop and ask ourselves exactly what is it that we are talking about. 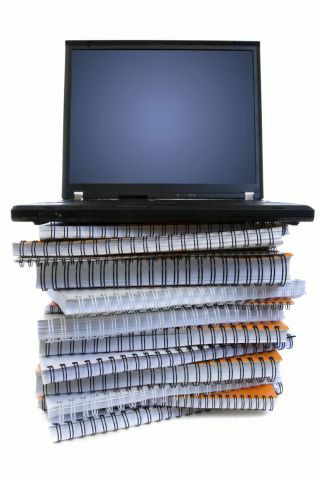 Perhaps you are feeling a little overwhelmed about trying to keep up with the latest technology and the newest thing for your classroom or school? Did you know that the pencil, the original 1:1 device, took nearly 100 years to be widely adopted in education? It seemed that with each new decade, the 20th century brought some new thing for the classroom. But the critical eye would notice that much of these tools would remain, overlapped in purpose, for a long time. Much of our instructional practices today have been informed by these tools, rather than good pedagogy informing how to use these tools. We must allow technology to amplify good instructional practice, rather than tell us what good practice is. Overtime cost of new technology have been reduced leading to an increase in accessibility, but accessibility does not equate to need. To accept that incorporating emergent technology into our students’ educational experience is indeed a major step for successfully preparing for our future. But beyond that, the struggle comes between deployment and employment of new technology. To deploy is to distribute, but to employ infers activity in which one engages. We use the word technology in the most simple sense to mean a tool used by mankind to achieve certain goals. Yet, the modern dictionary focuses on a different aspect of the word, pointing out that technology transcends a physical object and infers application, capability, and methods of accomplishing a task, in short, new technology might be thought of as a better workflow. Our concerns about how, when, and why instructional technologies are being used are merely symptoms of a greater problem, we need to foster a culture that embraces innovativeness. The word innovation refers to something new or to a change made to an existing invention (product, idea, or field), like the invention of the telephone led to the innovation of the smartphone. Can we begin to think about schools as inventions in need of innovation? We must frame our thinking around our school culture, as a collective understanding about where we are and where we need to be. A school culture that embraces innovativeness is a group of people who chose to frame their thinking around change. Recognizing the need to dynamically approach innovation, in the form of tools and interventions, and realizing they will never arrive at a place where they can rest on the laurels of past successes. The idea of innovativeness is both exciting and scary: cutting-edge applications of emergent technology, embracing failure as a necessary component of the learning process, trying new things and falling in love with the process… but this mindset becomes an expectation, the way we now operate is, no cruise control, no this-is-the-way-we-have-always-done-it, we now are always changing. So why choose this path? Why choose a state of constant change… the way of innovativeness? The path has been chosen for us. In the case of emergent technology, we cannot assume a static approach to teaching and learning is productive, we must consider technology to be dynamically changing, and thus triggers consequent changes in how we function. It is difficult to confront, but we know that our high-tech smartphones and tablets are the lowest form of technology our students will ever know. Simply integrating new technology will not change our practice, adopting a positive approach to innovation will lead to a paradigm shift. Innovativeness is the pedagogy for the future.